This a review of THE WALKING DEAD season two. Who doesn’t love zombies? But usually one film isn’t enough for the subgenre junkies. It was a most definite bright idea to turn the series of graphic novels into a television show. 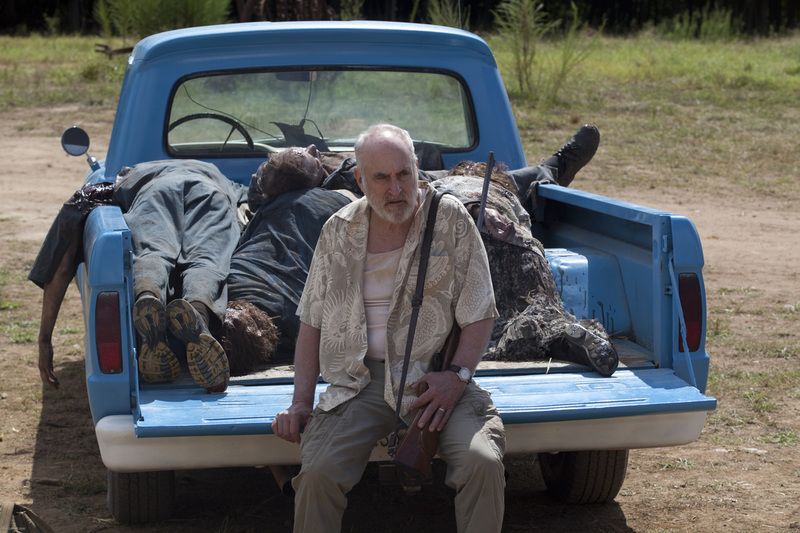 Created by gifted director Frank Darabont, the first season was short (six episodes), tight and exciting. The greenlighting of season two signified the probability to go even further. Thirteen episodes commissioned, and what has been delivered are large moments of tension and thrills, but also a dragging out of plot threads and locations. This wringing out of every moment is satisfying perhaps in the exploration of all ends of the emotional compass, but the pacing suffers. Sometimes I caught myself going, I get it, let’s move to the next moment. The quasi-extended family we watch are constantly getting injured and separated. Though it’d be fair to say that the makers are perhaps going for realism over grand set-pieces. Kicking off after the Centre for Disease Control failed to provide the answers and hope so desperately desired by the motley crew that looks to Rick’s leadership, they leave Atlanta and decide to head for the rumoured safety of Fort Benning. 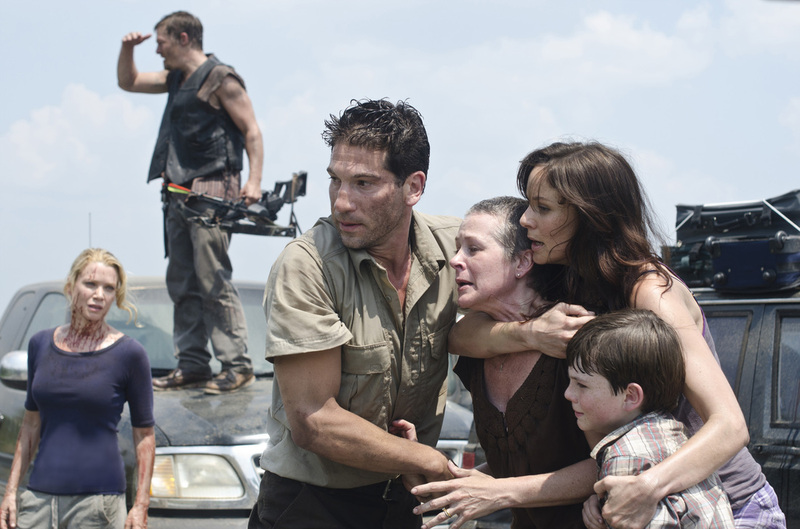 While on a highway, a herd of Walkers causes the young daughter of Carol, Sophia, to bolt into nearby woods. While trying to save her, Sophia goes missing, and that provides the narrative drive – her search. In this mission the group stumble across an idyllic farm, which is the beautiful backdrop to a probing of group dynamics, while zombie peril is ever-present. Season two is not dull, but almost gets soap-operatic in places in terms of character interactions. The gore levels keep that at bay mostly. The father of zombie flicks, George A. Romero, knew to utilise the horror and stories as allegories for the world around us – tackling civil rights and consumerism. 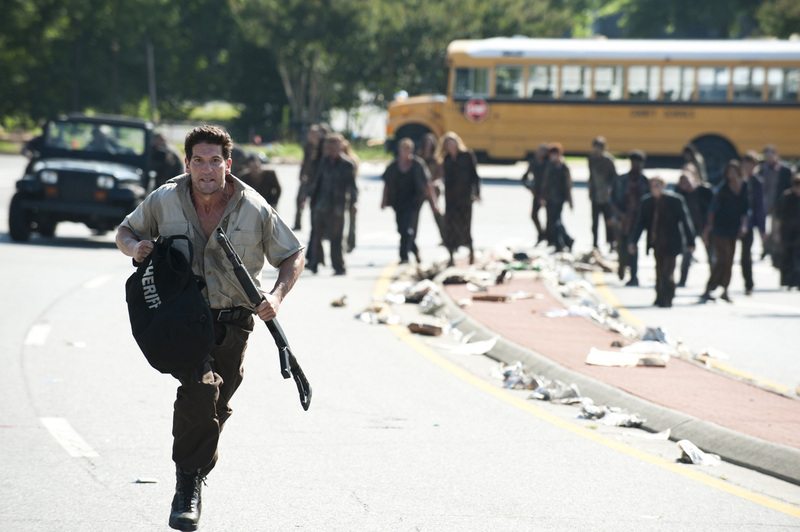 And that’s what THE WALKING DEAD lacks, metaphor. A wasted opportunity. Contrast BATTLESTAR GALACTICA and BUFFY THE VAMPIRE SLAYER. There is potential to take the third season to the next level, and I hope the makers build on the polished chills.